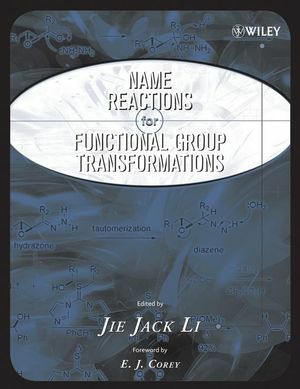 This practical, well-organized reference delves deeply into functional group transformations, to provide all the detailed information that researchers need. Contributors are well-known and respected for their work on the specific name reactions. Jie Jack Li is a medicinal chemist at Pfizer Global Research and Development in Ann Arbor, Michigan. He is coauthor of Contemporary Drug Synthesis and editor of Name Reactions in Heterocyclic Chemistry (both from Wiley). E. J. Corey, Professor Emeritus at Harvard University, is scientific editorial advisor for this book. Dr. Corey won the Nobel Prize in Chemistry in 1990 for his development of the theory and methodology of organic synthesis, and was awarded the Priestley Medal in 2004. Appendix 4. Table of Contents for Volume 5: Name Reactions in Heterocyclic Chemistry-2.